Hormigo, S, Vega-Flores, G, Rovira, V, Castro-Alamancos, MA. Circuits that mediate expression of signaled active avoidance converge in the pedunculopontine tegmentum. J. Neurosci. 2019; :. doi: 10.1523/JNEUROSCI.0049-19.2019. PubMed PMID:30936242 . Anon. Correction: Favero and Castro-Alamancos, "Synaptic Cooperativity Regulates Persistent Network Activity in Neocortex". J. Neurosci. 2017;37 (13):3734. doi: 10.1523/JNEUROSCI.0642-17.2017. PubMed PMID:28356397 . Hormigo, S, Vega-Flores, G, Castro-Alamancos, MA. Basal Ganglia Output Controls Active Avoidance Behavior. J. Neurosci. 2016;36 (40):10274-10284. doi: 10.1523/JNEUROSCI.1842-16.2016. PubMed PMID:27707965 PubMed Central PMC5050325. Castro-Alamancos, MA, Favero, M. Whisker-related afferents in superior colliculus. J. Neurophysiol. 2016;115 (5):2265-79. doi: 10.1152/jn.00028.2016. PubMed PMID:26864754 PubMed Central PMC4922452. Castro-Alamancos, MA, Favero, M. NMDA receptors are the basis for persistent network activity in neocortex slices. J. Neurophysiol. 2015;113 (10):3816-26. doi: 10.1152/jn.00090.2015. PubMed PMID:25878152 PubMed Central PMC4473514. Castro-Alamancos, MA, Bezdudnaya, T. Modulation of artificial whisking related signals in barrel cortex. J. Neurophysiol. 2015;113 (5):1287-301. doi: 10.1152/jn.00809.2014. PubMed PMID:25505118 PubMed Central PMC4346718. Castro-Alamancos, MA, Gulati, T. Neuromodulators produce distinct activated states in neocortex. J. Neurosci. 2014;34 (37):12353-67. doi: 10.1523/JNEUROSCI.1858-14.2014. PubMed PMID:25209276 PubMed Central PMC4160772. Bezdudnaya, T, Castro-Alamancos, MA. Neuromodulation of whisking related neural activity in superior colliculus. J. Neurosci. 2014;34 (22):7683-95. doi: 10.1523/JNEUROSCI.0444-14.2014. PubMed PMID:24872572 PubMed Central PMC4035528. Castro-Alamancos, MA. The motor cortex: a network tuned to 7-14 Hz. Front Neural Circuits. 2013;7 :21. doi: 10.3389/fncir.2013.00021. PubMed PMID:23439785 PubMed Central PMC3578207. Favero, M, Castro-Alamancos, MA. Synaptic cooperativity regulates persistent network activity in neocortex. J. Neurosci. 2013;33 (7):3151-63. doi: 10.1523/JNEUROSCI.4424-12.2013. PubMed PMID:23407969 PubMed Central PMC3711603. Favero, M, Varghese, G, Castro-Alamancos, MA. The state of somatosensory cortex during neuromodulation. J. Neurophysiol. 2012;108 (4):1010-24. doi: 10.1152/jn.00256.2012. PubMed PMID:22623484 PubMed Central PMC3424075. Bezdudnaya, T, Castro-Alamancos, MA. Superior colliculus cells sensitive to active touch and texture during whisking. J. Neurophysiol. 2011;106 (1):332-46. doi: 10.1152/jn.00072.2011. PubMed PMID:21525369 PubMed Central PMC3129730. Hirata, A, Castro-Alamancos, MA. Effects of cortical activation on sensory responses in barrel cortex. J. Neurophysiol. 2011;105 (4):1495-505. doi: 10.1152/jn.01085.2010. PubMed PMID:21273311 PubMed Central PMC3075282. Cohen, JD, Castro-Alamancos, MA. Behavioral state dependency of neural activity and sensory (whisker) responses in superior colliculus. J. Neurophysiol. 2010;104 (3):1661-72. doi: 10.1152/jn.00340.2010. PubMed PMID:20610783 PubMed Central PMC2944696. Cohen, JD, Castro-Alamancos, MA. Neural correlates of active avoidance behavior in superior colliculus. J. Neurosci. 2010;30 (25):8502-11. doi: 10.1523/JNEUROSCI.1497-10.2010. PubMed PMID:20573897 PubMed Central PMC2905738. Cohen, JD, Castro-Alamancos, MA. 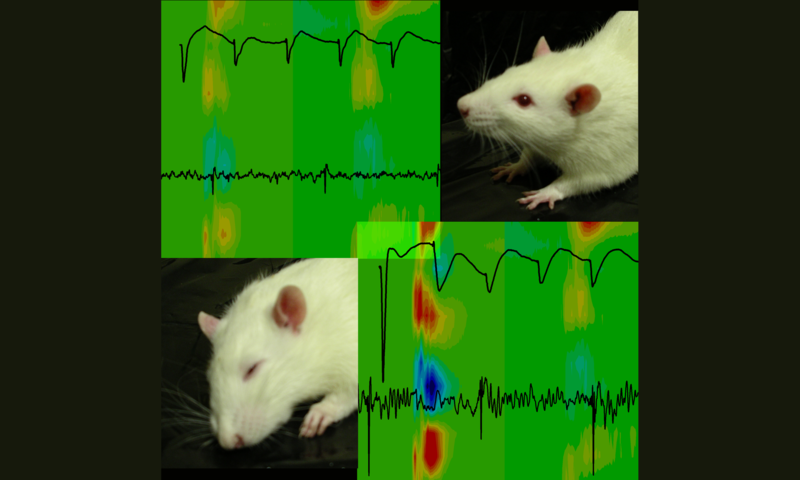 Detection of low salience whisker stimuli requires synergy of tectal and thalamic sensory relays. J. Neurosci. 2010;30 (6):2245-56. doi: 10.1523/JNEUROSCI.5746-09.2010. PubMed PMID:20147551 PubMed Central PMC2823802. Hirata, A, Castro-Alamancos, MA. Neocortex network activation and deactivation states controlled by the thalamus. J. Neurophysiol. 2010;103 (3):1147-57. doi: 10.1152/jn.00955.2009. PubMed PMID:20053845 PubMed Central PMC2887623. Rigas, P, Castro-Alamancos, MA. Impact of persistent cortical activity (up States) on intracortical and thalamocortical synaptic inputs. J. Neurophysiol. 2009;102 (1):119-31. doi: 10.1152/jn.00126.2009. PubMed PMID:19403750 PubMed Central PMC2712261. Hirata, A, Aguilar, J, Castro-Alamancos, MA. 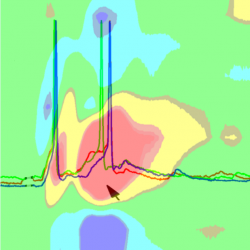 Influence of subcortical inhibition on barrel cortex receptive fields. J. Neurophysiol. 2009;102 (1):437-50. doi: 10.1152/jn.00277.2009. PubMed PMID:19403743 PubMed Central PMC2712267. Castro-Alamancos, MA. Cortical up and activated states: implications for sensory information processing. Neuroscientist. 2009;15 (6):625-34. doi: 10.1177/1073858409333074. PubMed PMID:19321459 . Cohen, JD, Hirata, A, Castro-Alamancos, MA. Vibrissa sensation in superior colliculus: wide-field sensitivity and state-dependent cortical feedback. J. Neurosci. 2008;28 (44):11205-20. doi: 10.1523/JNEUROSCI.2999-08.2008. PubMed PMID:18971463 PubMed Central PMC2587996. Hirata, A, Castro-Alamancos, MA. Cortical transformation of wide-field (multiwhisker) sensory responses. J. Neurophysiol. 2008;100 (1):358-70. doi: 10.1152/jn.90538.2008. PubMed PMID:18480364 PubMed Central PMC2493475. Cohen, JD, Castro-Alamancos, MA. Early sensory pathways for detection of fearful conditioned stimuli: tectal and thalamic relays. J. Neurosci. 2007;27 (29):7762-76. doi: 10.1523/JNEUROSCI.1124-07.2007. PubMed PMID:17634370 PubMed Central PMC3881290. Castro-Alamancos, MA, Tawara-Hirata, Y. Area-specific resonance of excitatory networks in neocortex: control by outward currents. Epilepsia. 2007;48 (8):1572-84. doi: 10.1111/j.1528-1167.2007.01113.x. PubMed PMID:17484757 . Rigas, P, Castro-Alamancos, MA. Thalamocortical Up states: differential effects of intrinsic and extrinsic cortical inputs on persistent activity. J. Neurosci. 2007;27 (16):4261-72. doi: 10.1523/JNEUROSCI.0003-07.2007. PubMed PMID:17442810 . Castro-Alamancos, MA. What generates whisking? Focus on: "The whisking rhythm generator: a novel mammalian network for the generation of movement". J. Neurophysiol. 2007;97 (3):1883-4. doi: 10.1152/jn.01358.2006. PubMed PMID:17202236 . Castro-Alamancos, MA, Rigas, P, Tawara-Hirata, Y. Resonance (approximately 10 Hz) of excitatory networks in motor cortex: effects of voltage-dependent ion channel blockers. J. Physiol. (Lond.). 2007;578 (Pt 1):173-91. doi: 10.1113/jphysiol.2006.119016. PubMed PMID:16945964 PubMed Central PMC2075114. Castro-Alamancos, MA. Vibrissa myoclonus (rhythmic retractions) driven by resonance of excitatory networks in motor cortex. J. Neurophysiol. 2006;96 (4):1691-8. doi: 10.1152/jn.00454.2006. PubMed PMID:16807344 . Hirata, A, Aguilar, J, Castro-Alamancos, MA. Noradrenergic activation amplifies bottom-up and top-down signal-to-noise ratios in sensory thalamus. J. Neurosci. 2006;26 (16):4426-36. doi: 10.1523/JNEUROSCI.5298-05.2006. PubMed PMID:16624962 . Hirata, A, Castro-Alamancos, MA. Relief of synaptic depression produces long-term enhancement in thalamocortical networks. J. Neurophysiol. 2006;95 (4):2479-91. doi: 10.1152/jn.01145.2005. PubMed PMID:16381803 . Aguilar, JR, Castro-Alamancos, MA. Spatiotemporal gating of sensory inputs in thalamus during quiescent and activated states. J. Neurosci. 2005;25 (47):10990-1002. doi: 10.1523/JNEUROSCI.3229-05.2005. PubMed PMID:16306412 . Castro-Alamancos, MA. Dynamics of sensory thalamocortical synaptic networks during information processing states. Prog. Neurobiol. 2004;74 (4):213-47. doi: 10.1016/j.pneurobio.2004.09.002. PubMed PMID:15556288 . Cohen, JD, Castro-Alamancos, MA. Skilled motor learning does not enhance long-term depression in the motor cortex in vivo. J. Neurophysiol. 2005;93 (3):1486-97. doi: 10.1152/jn.00958.2004. PubMed PMID:15525804 . Rigas, P, Castro-Alamancos, MA. Leading role of the piriform cortex over the neocortex in the generation of spontaneous interictal spikes during block of GABA(A) receptors. Neuroscience. 2004;124 (4):953-61. doi: 10.1016/j.neuroscience.2003.11.034. PubMed PMID:15026135 . Castro-Alamancos, MA. Absence of rapid sensory adaptation in neocortex during information processing states. Neuron. 2004;41 (3):455-64. . PubMed PMID:14766183 . Castro-Alamancos, MA. [Thalamocortical dynamics: how do the thalamus and the neocortex communicate during the processing of information?]. Rev Neurol. ;36 (7):643-9. . PubMed PMID:12666046 . Oldford, E, Castro-Alamancos, MA. Input-specific effects of acetylcholine on sensory and intracortical evoked responses in the "barrel cortex" in vivo. Neuroscience. 2003;117 (3):769-78. . PubMed PMID:12617980 . Castro-Alamancos, MA. Role of thalamocortical sensory suppression during arousal: focusing sensory inputs in neocortex. J. Neurosci. 2002;22 (22):9651-5. . PubMed PMID:12427819 . Castro-Alamancos, MA, Rigas, P. Synchronized oscillations caused by disinhibition in rodent neocortex are generated by recurrent synaptic activity mediated by AMPA receptors. J. Physiol. (Lond.). 2002;542 (Pt 2):567-81. . PubMed PMID:12122154 PubMed Central PMC2290428. Castro-Alamancos, MA, Oldford, E. Cortical sensory suppression during arousal is due to the activity-dependent depression of thalamocortical synapses. J. Physiol. (Lond.). 2002;541 (Pt 1):319-31. . PubMed PMID:12015438 PubMed Central PMC2290309. Castro-Alamancos, MA. Different temporal processing of sensory inputs in the rat thalamus during quiescent and information processing states in vivo. J. Physiol. (Lond.). 2002;539 (Pt 2):567-78. . PubMed PMID:11882688 PubMed Central PMC2290158. Castro-Alamancos, MA. Properties of primary sensory (lemniscal) synapses in the ventrobasal thalamus and the relay of high-frequency sensory inputs. J. Neurophysiol. 2002;87 (2):946-53. doi: 10.1152/jn.00426.2001. PubMed PMID:11826059 . Paus, T, Castro-Alamancos, MA, Petrides, M. Cortico-cortical connectivity of the human mid-dorsolateral frontal cortex and its modulation by repetitive transcranial magnetic stimulation. Eur. J. Neurosci. 2001;14 (8):1405-11. . PubMed PMID:11703468 . Castro-Alamancos, MA, Calcagnotto, ME. High-pass filtering of corticothalamic activity by neuromodulators released in the thalamus during arousal: in vitro and in vivo. J. Neurophysiol. 2001;85 (4):1489-97. doi: 10.1152/jn.2001.85.4.1489. PubMed PMID:11287472 . Castro-Alamancos, MA. Origin of synchronized oscillations induced by neocortical disinhibition in vivo. J. Neurosci. 2000;20 (24):9195-206. . PubMed PMID:11124997 . Castro-Alamancos, MA, Calcagnotto, ME. Presynaptic long-term potentiation in corticothalamic synapses. J. Neurosci. 1999;19 (20):9090-7. . PubMed PMID:10516326 . Castro-Alamancos, MA. Neocortical synchronized oscillations induced by thalamic disinhibition in vivo. J. Neurosci. 1999;19 (18):RC27. . PubMed PMID:10479720 . Castro-Alamancos, MA, Connors, BW. Distinct forms of short-term plasticity at excitatory synapses of hippocampus and neocortex. Proc. Natl. Acad. Sci. U.S.A. 1997;94 (8):4161-6. . PubMed PMID:9108122 PubMed Central PMC20585. Castro-Alamancos, MA. Short-term plasticity in thalamocortical pathways: cellular mechanisms and functional roles. Rev Neurosci. ;8 (2):95-116. . PubMed PMID:9344181 . Castro-Alamancos, MA, Connors, BW. Thalamocortical synapses. Prog. Neurobiol. 1997;51 (6):581-606. . PubMed PMID:9175158 . Castro-Alamancos, MA. The augmenting response, a form of short-term plasticity in the neocortex that is modulated by behavioral state. Mol. Psychiatry. 1996;1 (6):424-6. . PubMed PMID:9154239 . Castro-Alamancos, MA, Connors, BW. Cellular mechanisms of the augmenting response: short-term plasticity in a thalamocortical pathway. J. Neurosci. 1996;16 (23):7742-56. . PubMed PMID:8922430 . Castro-Alamancos, MA, Connors, BW. Spatiotemporal properties of short-term plasticity sensorimotor thalamocortical pathways of the rat. J. Neurosci. 1996;16 (8):2767-79. . PubMed PMID:8786452 . Castro-Alamancos, MA, Connors, BW. Short-term plasticity of a thalamocortical pathway dynamically modulated by behavioral state. Science. 1996;272 (5259):274-7. . PubMed PMID:8602513 . Castro-Alamancos, MA, Connors, BW. Short-term synaptic enhancement and long-term potentiation in neocortex. Proc. Natl. Acad. Sci. U.S.A. 1996;93 (3):1335-9. . PubMed PMID:8577765 PubMed Central PMC40081. Castro-Alamancos, MA, Arevalo, MA, Torres-Aleman, I. Involvement of protein kinase C and nitric oxide in the modulation by insulin-like growth factor-I of glutamate-induced GABA release in the cerebellum. Neuroscience. 1996;70 (4):843-7. . PubMed PMID:8848170 . Castro-Alamancos, MA, Borrel, J. Functional recovery of forelimb response capacity after forelimb primary motor cortex damage in the rat is due to the reorganization of adjacent areas of cortex. Neuroscience. 1995;68 (3):793-805. . PubMed PMID:8577374 . Castro-Alamancos, MA, Donoghue, JP, Connors, BW. Different forms of synaptic plasticity in somatosensory and motor areas of the neocortex. J. Neurosci. 1995;15 (7 Pt 2):5324-33. . PubMed PMID:7623155 . Castro-Alamancos, MA, Borrell, J. Contribution of NMDA and nonNMDA glutamate receptors to synchronized excitation and cortical output in the primary motor cortex of the rat. Brain Res. Bull. 1995;37 (5):539-43. . PubMed PMID:7633903 . Castro-Alamancos, MA, Torres-Aleman, I. Learning of the conditioned eye-blink response is impaired by an antisense insulin-like growth factor I oligonucleotide. Proc. Natl. Acad. Sci. U.S.A. 1994;91 (21):10203-7. . PubMed PMID:7937862 PubMed Central PMC44986. Castro-Alamancos, MA, Borrell, J. Scopolamine induces recovery of shuttle box avoidance behavior after frontal cortex ablation. Behav. Brain Res. 1994;62 (2):135-41. . PubMed PMID:7945963 . Castro-Alamancos, MA, Torres-Aleman, I. Long-term depression of glutamate-induced gamma-aminobutyric acid release in cerebellum by insulin-like growth factor I. Proc. Natl. Acad. Sci. U.S.A. 1993;90 (15):7386-90. . PubMed PMID:8346260 PubMed Central PMC47142. Castro-Alamancos, MA, Borrell, J. Active avoidance behavior using pontine nucleus stimulation as a conditioned stimulus in the rat. Behav. Brain Res. 1993;55 (1):109-12. . PubMed PMID:8329123 . Castro-Alamancos, MA, Borrell, J. Motor activity induced by disinhibition of the primary motor cortex of the rat is blocked by a non-NMDA glutamate receptor antagonist. Neurosci. Lett. 1993;150 (2):183-6. . PubMed PMID:8097030 . Castro-Alamancos, MA, Borrell, J. Reversal of paw preference after ablation of the preferred forelimb primary motor cortex representation of the rat depends on the size of the forelimb representation. Neuroscience. 1993;52 (3):637-44. . PubMed PMID:8450964 . Castro-Alamancos, MA, Borrell, J. Facilitation and recovery of shuttle box avoidance behavior after frontal cortex lesions is induced by a contingent electrical stimulation in the ventral tegmental nucleus. Behav. Brain Res. 1992;50 (1-2):69-76. . PubMed PMID:1333223 . Castro-Alamancos, MA, Borrell, J, García-Segura, LM. Performance in an escape task induces fos-like immunoreactivity in a specific area of the motor cortex of the rat. Neuroscience. 1992;49 (1):157-62. . PubMed PMID:1407543 . Castro-Alamancos, MA, García-Segura, LM, Borrell, J. Transfer of Function to a Specific Area of the Cortex After Induced Recovery from Brain Damage. Eur. J. Neurosci. 1992;4 (9):853-863. . PubMed PMID:12106308 . Sandi, C, Castro-Alamancos, MA, Cambronero, JC, Bailón, C, Guaza, C, Borrel, J et al.. [Interactions between the immune system and the neuroendocrine system. Implications of the hypothalamo-hypophyseal-adrenal axis]. Arch Neurobiol (Madr). ;52 (6):277-86. . PubMed PMID:2534566 .